from sustainably harvested North American hardwood. 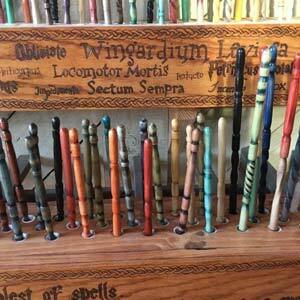 We offer an enchanting variety of handcrafted Wands in various sizes, colors, and levels of Huzzawesome. 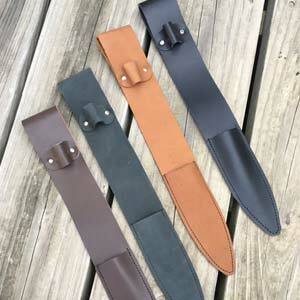 Also, Wand Holsters in black, brown, and other colors for those motivated to seek adventure. These Wands are handcrafted by people who care about the fantasy stories we grew up with and that have become such a part of our culture. Their attention to the details reflects this. We handcraft every single Wand from sustainably harvested north American hardwood. After being hand shaped, each Wand is individually dyed, stained, and finished using one or more of hundreds of colors in thousands of possible combinations. This ensures that no two Wands are exactly alike, with each one as unique as the people who will wield it. Artists Byron & Arleen Miller began their woodworking apprenticeship in 2004 and for many years, their sawdust covered hands created every single wand. 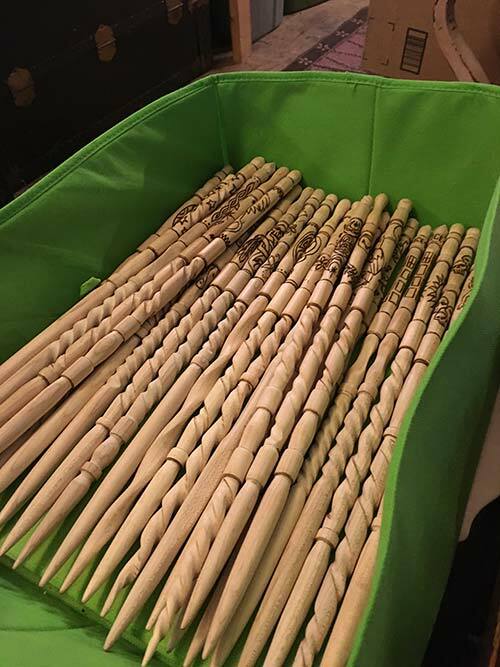 Recently, with the introduction of the Ilvermourny School, the demand for magic wands has grown and Artist Barrett Dodds of Oakshire’s Magical Menagerie has been summoned to add his creative magic to the wand shop. 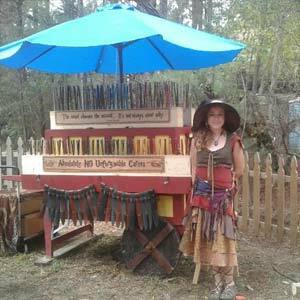 Based in Ithaca New York, Broomhilde’s magic wands can be found at renaissance festivals, art fairs, faerie festivals, and wizarding events across the country.